30 years of experience… To better serve you! Construction411, much more than referencing! Construction411 has been the leader in Quebec for specialized construction sites. We offer all the necessary services [to discover your company] and increase your customer base. We offer a full range of web and internet services. 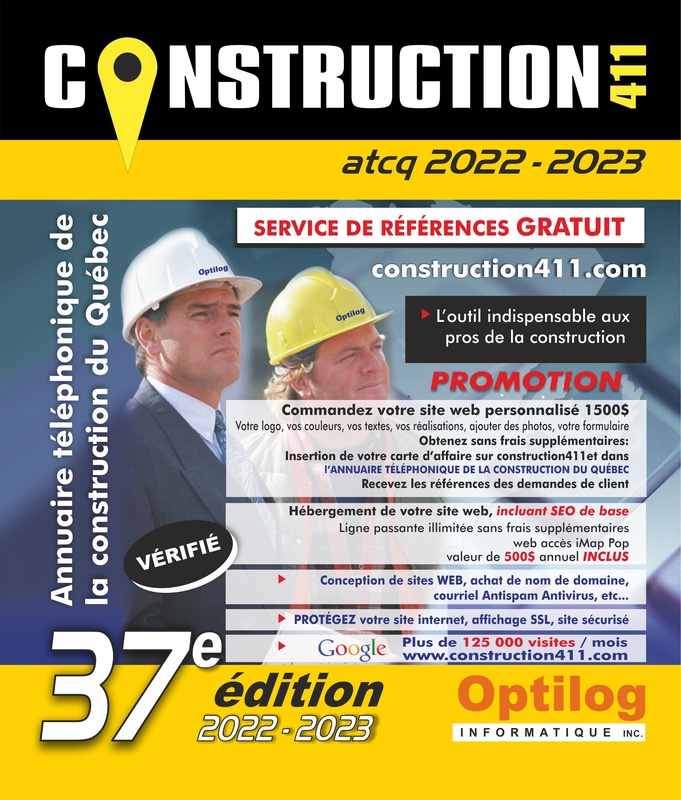 Since 1986, we also publish the telephone directory of Quebec construction. At that time more than 16,000 construction companies were published and consulted by the entrepreneurs. We integrate the Internet into our services in 1995 to offer free consultation of construction company records. Each customer receives a personalized service according to their needs and budget. To provide quality services, we rely on a team of experienced, dedicated and proud to work for Construction411. We are convinced that it is by working with integrity that we have been successful on a permanent basis for more than 30 years. Our values ​​are based on integrity, respect and quality of work. Copyright © 1986-2019 Construction 411 | All rights reserved. Need a contractor? Register your enterprise!